Get your Awesome on w a Meditation Practice | T WHITEBOARD - LIVE! Get your Awesome on with a Meditation Practice! 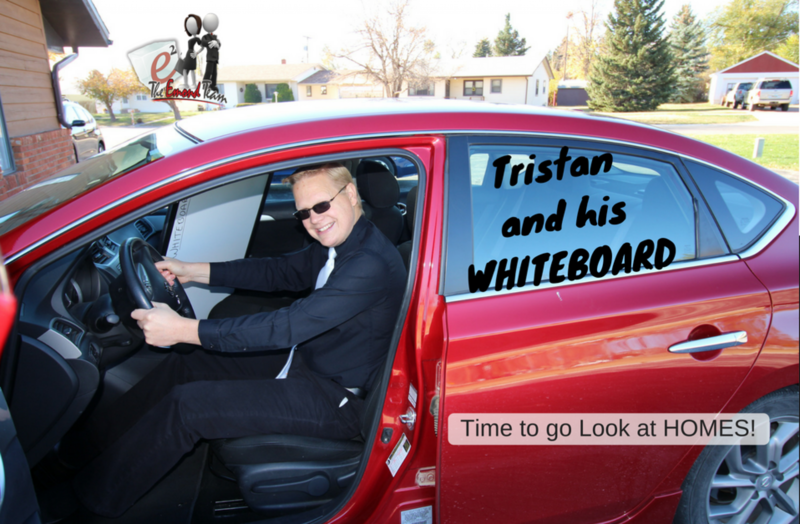 In this episode of Tristan and his WHITEBOARD – LIVE! I talk about the benefits of my meditation practice. And some tips to help you establish/grow/re-ignite yours! Hey everybody, how you doing today? This is Tristan Emond with Mindful Living Realty. And we’re at Tristan and his WHITEBOARD – LIVE! So, here’s what’s going on today. First of all, I’ve got some new cards in. Isn’t that cool? I like ’em. Second of all, I attended a workshop this weekend and we talked about how to get your Meditation Practice up and running. I had started a meditation practice about two years ago, was very consistent with it. I had a friend that noted about a year later that said, “Hey – you’re more centered, you just seem to be more there.” I’ve kind of fallen off the log lately and I’ve noticed that. And so we’re going to work on getting that back on…back going. But I thought what I would do today is talk about how I have developed my meditation practice and hopefully that will be something that will be helpful for you. Help you get into the position where you can do something like that. What is a Meditation Practice? Now when I say Meditation Practice, it means anything you want it to be really. It doesn’t have to be meditation. It can be just a time when you can have for yourself to slow down. Get in touch with you are – who you are inside and listen. Basically, that’s all it is – a time to be present and listen to yourself. We get so busy running around day to day. Doing this, doing that, taking kids there, taking kids there…that we forget to stop take a breath and just listen and hear what we have to say to ourselves. 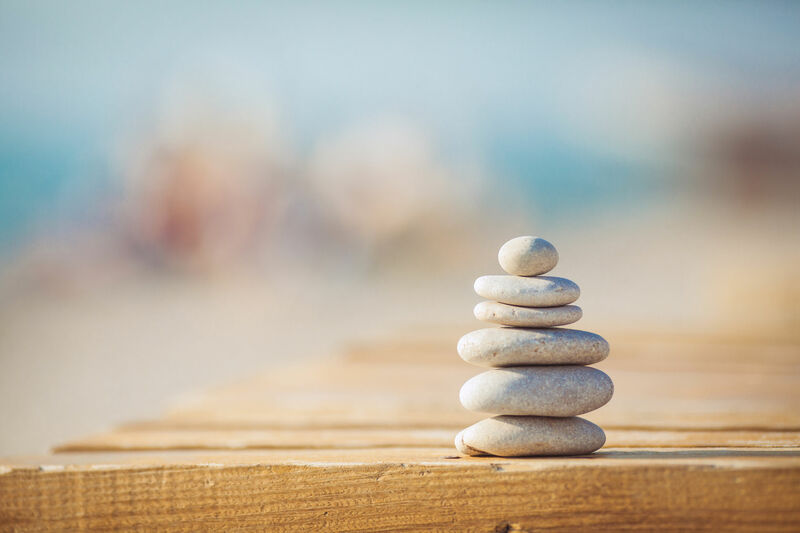 A lot of what has happened here with Mindful Living Realty – the things we have established and we’ve done – have come from those a-ha moments that I have got in the times I’ve had meditation practice. So first of all, let’s talk about the different components that I’ve used in the meditation. Typically, I try to do this in the morning. I’m not a great morning person. So, you know, sometimes, it doesn’t happen until after. Like this morning, I had breakfast this morning with bunch of guys and I came to office and I did some meditation. So work it out on your schedule. First of all, I spend a little bit of time. acknowledging the body. Doing a little Exercise. Every day is a little different. When it’s spring and summer and nice outside, Sarah and I usually go for a walk around the neighborhood. That’s awesome. We love to do that. When it’s cold, we do have an elliptical, that sometimes we will run it for a few minutes. But even if it’s just a matter getting up, do some stretching. Acknowledging that the body is there allowing the energy to just kind of flow through. Getting up in the morning and, you know, just kind of get that getting things working again. Like I said, acknowledging the body is there. Second of all, is when I do some actual Meditation. So, let’s talk first of all here about what meditation is NOT because sometimes we get ideas in our heads that are put there from lots of other things where we have to be sitting in crossed legs stance with our fingers in certain way and saying “ahs” and “ooos” and all that kind of stuff. Meditation – simply (in my opinion anyway) – meditation is simply a spot where you can get quiet, listen to yourself. Now, you’re going to have times when the mind’s going to wander. Be okay with that. Be okay with that coming in and going back and forth. Understand that just way it’s going to be. The mind’s just chattering away, chattering away. Understand that you’re not going to be perfectly, you know, mind free. Your mind’s not going to be completely free thought during this process. It’s a back and forth. Just be okay with the thoughts passing through your head and going out the other side. Some things I’ve done to help with this is go back to your breath and concentrate on your breathing, that helps you be present. One thing that I found that works really well is I listen. Have you ever sat in quiet and listened? You can hear the humming of the refrigerator, the ticking of the clock, just listen to all those the sounds of your environment. It really helps you just kind of hone in and be in that moment and just listen intently. And that will help you to really be in the moment. And then you can move forward from there – just allow yourself to be. Sometimes I’m thankful that the sun is shining in the window. I’m thankful for this blanket I’ve got over top of me. I had a good experience with the kids yesterday and I’m thankful for my kids. They are cool. Those kind of things…think about what you’re really grateful for. The key about this is when you’re thinking about the things you have, you’re not focusing on the things you don’t have. The more you think about the things that you have, the more those things are going to flow into your experience. The forth thing is Journaling – which actually ties into gratitude, because I usually do my gratitude exercises while I’m Journaling, while I’m writing. This is something that you can do however you would like to do it. Now if you are not a writer, you say, “I just, I just can’t do it.” Do what works good for you – color, draw. You’ve got a phone – speak into it. Do something to get your words out, to get your feelings out. It’s important, I think, to write it down. Writing allows you to…it puts the physical in touch with the mind and gives you space. Because your mind will talk faster than you can write. So, it allows for that break in time for that gap to happen. So you can listen to yourself. You can listen to your heart. It’s amazing as your writing – sometimes you realize that you’re writing stuff that you didn’t even realize you believed or your thought or anything like that. Next thing you know, you’ve got those little a-ha moments just from sitting there and writing. It’s amazing how that works. Sometimes it’s great to let out your anger or your frustrations on the paper when your journaling. And if you need to be ceremonial about it, you can rip that page out and burn it. Makes you feel like you have got that off and “I’m letting it go” if that’s the way you need to do it. If that’s what works for you, great. Do it that way. Some people like to draw, some people like to scribble. Whatever it takes to get you in the moment and think about where you are. Just let your words flow. In a journaling practice, some of the things that could come up…’Cause you sit there and you look at your blank piece of paper. You go “Okay… We got this paper here. Now What?” And you sit there and you wait and nothing starts flowing. “I’m just supposed to write” and you try to start… nothing happens. So I have established for myself, which I used even today, some headings that allow me to focus my journaling on a specific topic. And I try to make that very present. For the first step, I wrote “I’m happy today because…” And that’s the gratitude piece. I usually write five or six things that I’m happy for. Next part: “What is your purpose today?” and that is going to be waking up and deciding – okay. What do I feel like today? What do I feel like I am to do today? And if that scares you – the purpose idea just kind of let that one go. You just use whatever ones here you feel good about. “Who are you today?” You know – what do you feel like you are today? Do you feel great? You feel strong, you feel confident. Maybe need to write some affirmations down to encourage yourself to be that confident person that you want to be. “What will you create today?” This can be: I want to create happiness. I’m going to create peace. I’m going to create fun in the workplace. And then you can move on to I want to create sales or I want to create money or I want to create deals, something to that affect. You can use whatever you feel in that moment to create something today. Now we get into the bigger picture later on, but think about today – what am I going to create today? And then finally, I write the heading: “What do I need to know today? What do I need to do today?” And that’s where I kind of don’t judge and just write. Something comes to me, I just start writing. Believe and trust that that which is coming to you is something that’s really from you. That you need to pay attention to. And that is where things start flowing. Once you start getting the writing flowing, things just start popping up. You start writing things and realizing things. It’s really quite cool. Now, of course, if the writing isn’t flowing, be done with it. Just put it aside and try it again next time. No big deal. No reason to be so uptight about “Gotta make things happen.” Just do what you can each and everyday. As you as you get this practice rolling, you’ll find that is smoother, you’ll find you get break throughs, you’ll find that it just becomes easier and easier each and everyday. Finally, at the end of this, what I like to do is write my long term goals. If that’s I want to sell X amount of homes this year, that becomes the last piece, so I can keep that that long term goal in front of my face as well. I’m looking at the present and I’m also looking at the future. Looking at what I want to accomplish and making sure that everything else is aligning with that as well. Alright. Hopefully that was of interest to you guys and something you might have an interest in doing someday or sometime. If you have any other ideas with other thought forms of might work, let me know in the comments below. Let me know if you have any questions. I’ll go ahead and post these steps below. Hopefully this kind of give you a framework to begin with or to keep going with. Maybe it’s an ah-ha moment for you to keep your practice alive. But I’ve found and I’m dedicated to keep going back to my practice, a little more steady now, as I kind of dropped it here, a little while and getting back on that curve. Catch you next time on Tristan and his WHITEBOARD. Thanks for watching. Have an awesome day!